Award-winning grooming services for your four-legged best friend. Bark of the Town specializes in dog grooming in North Andover, MA and throughout the communities of the Merrimack Valley. 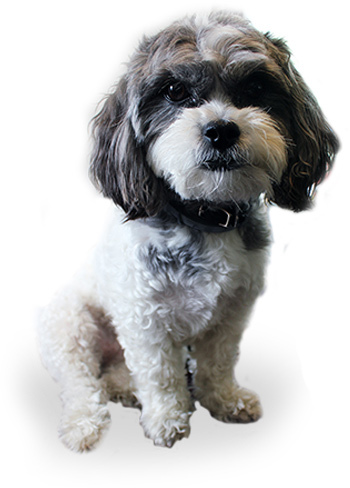 Your pet will love our friendly and experienced groomers and our crate-free environment. You will appreciate our fast and efficient expert care. Bring your pet for a shampoo, haircut and nail trim today. 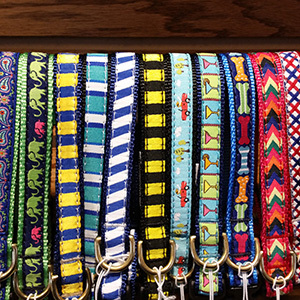 Accent the beautiful new hair-do, with one of our stylish collars and leashes. Available in three sizes for small, medium and large breeds. 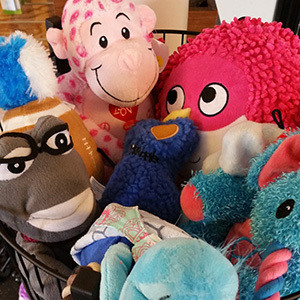 Felines and Canines alike will love our selection of stuffed animals, rope chews, hard bones and other treats to keep your pet entertained. 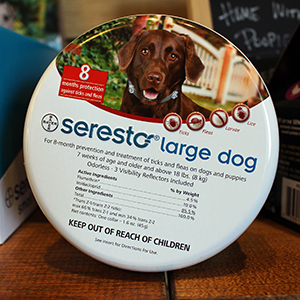 Protect your dog for up to eight months from the harmful ticks that North Andover and the surrounding communities are known for. 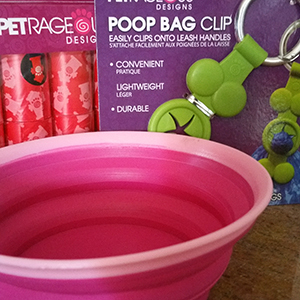 From water bowls to dog beds, we have a wide selection of accessories you and your pet will love at home or on the road.